World Economic Forum’s Global Agenda Council on Mental Health (2014-2016) has recently released a guide for Workplace Mental Health; the guide can be accessed here. Sania Nishtar served as Vice chair of the Council and promotes these seven actions towards a mentally healthy organization. 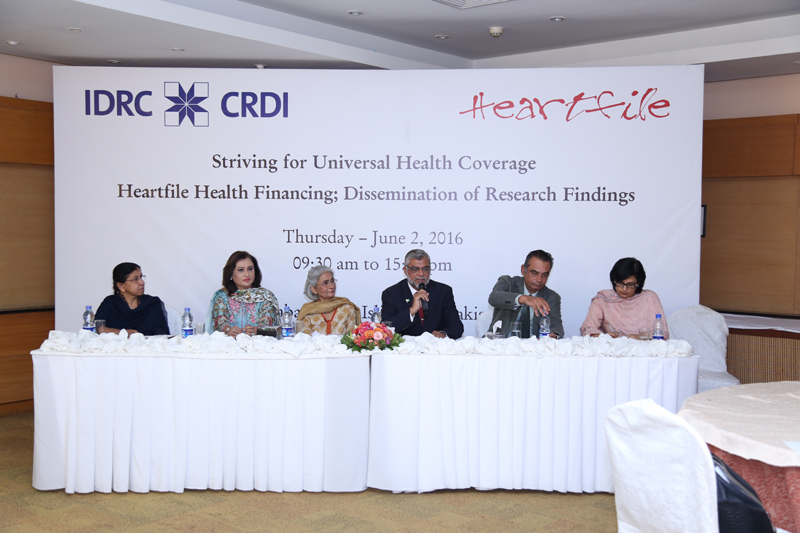 June 2, 2016: Heartfile hosted an event in collaboration with the International Development Research Centre (IDRC, Canada) to disseminate preliminary findings of the evaluation of Heartfile Health Financing. The eventwas attended by a wide range of audience from academia, government of Pakistan, developing partners, health sector and civil society. 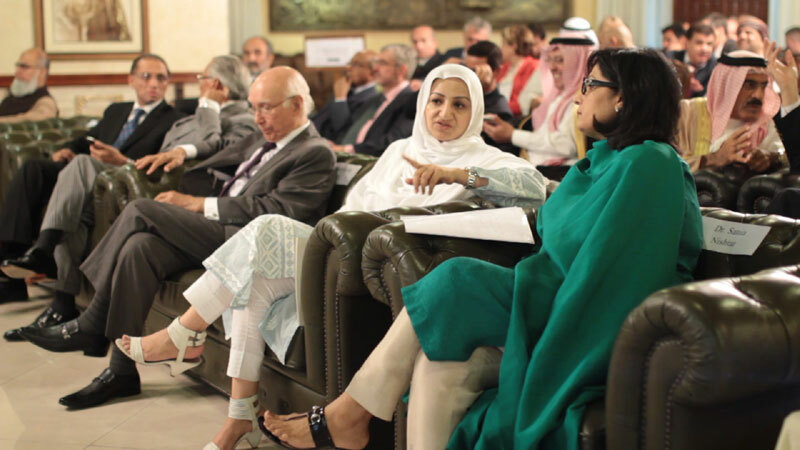 Dr. Sania Nishtar, President Heartfilechaired. Mr. Werner Leipach, Country Director Asian Developing Bank highlighted issues around financial risk protection and innovative health financing initiatives being imperative in progressing towards Universal Health Coverage. June 4, 2016: The Global Summit on Cardiovascular Health was recently held at the World Congress of Cardiology and Cardiovascular Health (WCC 2016) on June 4, 2016. 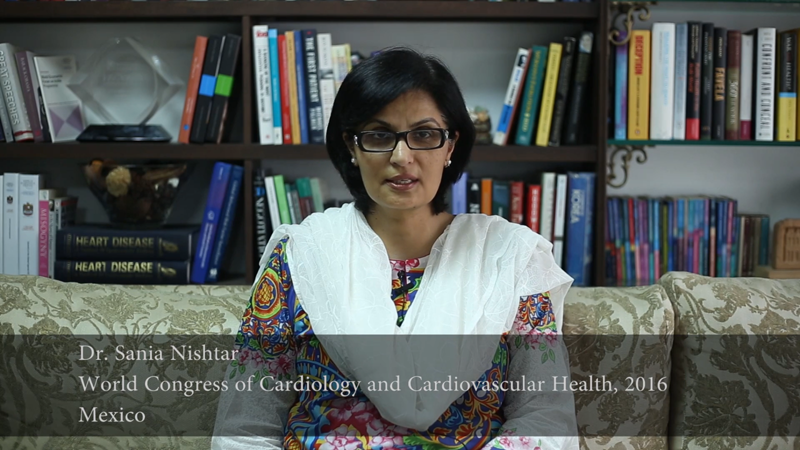 Dr. Sania Nishtar was one of the featured speakers at the event and her talk, relayed through the video, can be accessed here. 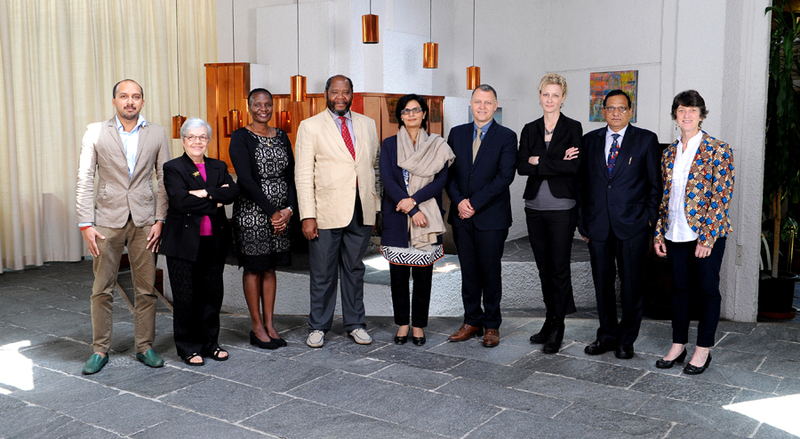 May 27, 2016: The Independent Accountability Panel appointed by the UN Secretary-General, chaired by Dr. Sania Nishtar met on May 27th in Geneva for their second meeting to deliberate on its first report. The meeting was attended by all the IAP members. The IAP is tasked to produce an annual comprehensive synthesis report on the state of the health of women, children and adolescents. The IAP is to provide the global community with the best available evidence on progress towards achieving the objectives of the Global Strategy and the relevant Sustainable Development Goals, and to make recommendations on overcoming barriers to progress. May 26, 2016: On the occasion of the World Health Assembly in Geneva, the World Health Organization hosted a side event at the Palais de Nations on Ending Childhood Obesity. Titled, “Securing the Future of our Children”, the session was organized by the Permanent Missions of Ghana, Malaysia and Mexico and was co-sponsored by the Permanent Missions of New Zealand and Zambia. 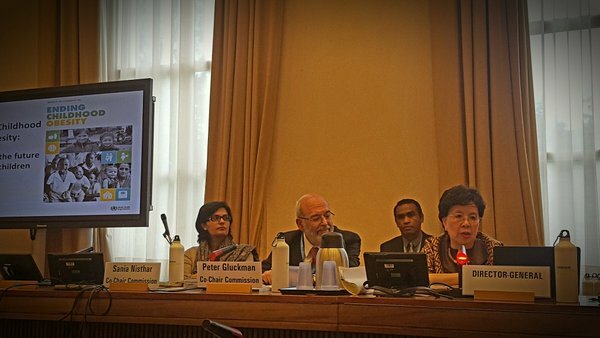 Co-chairs of the WHO Commission on Ending Childhood Obesity, Dr. Sania Nishtar and Sir Peter Gluckman gave the introductory presentations. The event was chaired by Professor Fiona Bull. In addition to the Co-Chairs, speakers at the event included the Minister of health of Malaysia, and the Vice Minister of Health of Mexico. 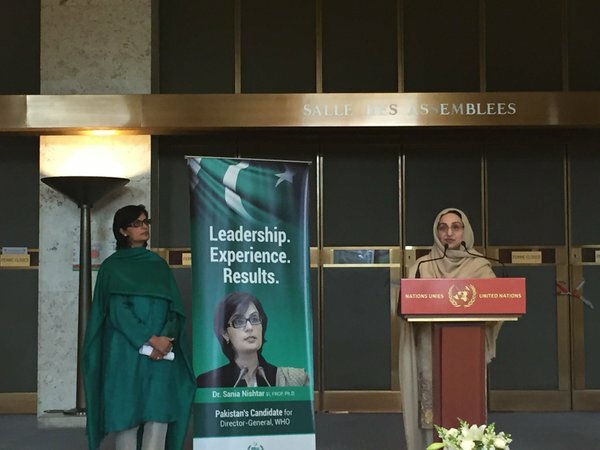 May 25, 2016: On May 25th, the Minister of National Health Services Regulation and Coordination Saira Afzal Tarar and Pakistan’s Permanent Representative to the United Nations in Geneva, Ambassador Tehmina Janjua, hosted a reception at the Palais de Nations to formally announce the candidacy of Dr. Sania Nishtar for the post of Director General, World Health Organization at the occasion of the World Health Assembly. 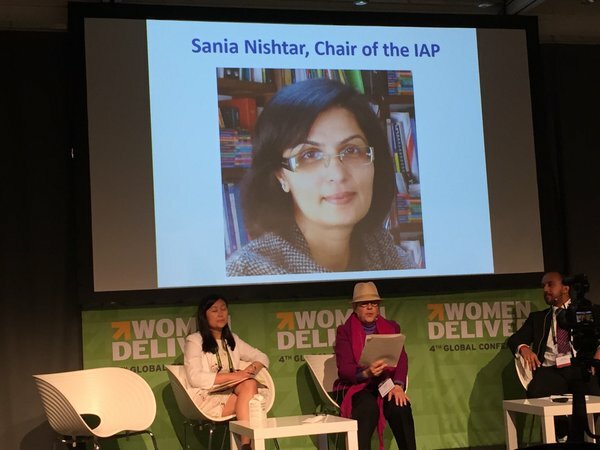 May 17, 2016: In her capacity as Chair of the Independent Accountability Panel, Dr. Sania Nishtar participated virtually in a ‘hearing style session’ at the Women Deliver conference, which was held in Copenhagen,to elicit views and recommendations from the audience on the work of the panel.Her message was read out by Carmen Barosa, also a member of the IAP.This hearing style session was aimed at sharing information on the work of the Independent Accountability Panel. May 10, 2016: The Advisor to the Prime Minster on Foreign Affairs, H.E. Sartaj Aziz and the Minister of Health, H.E. 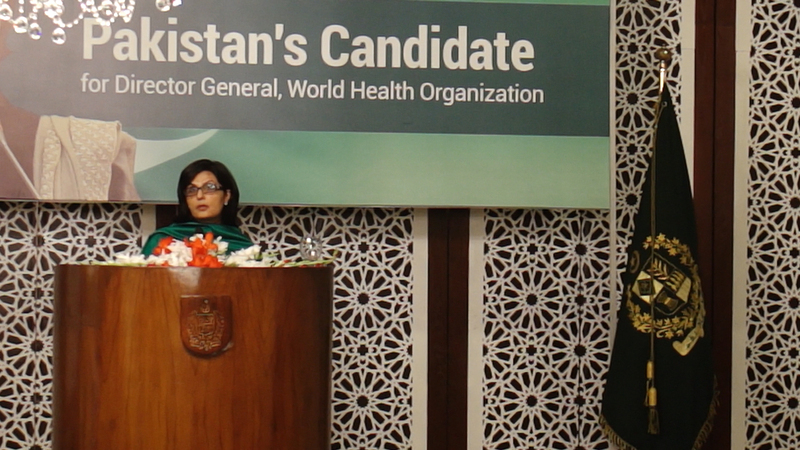 Saira Afzal Tarar, co-hosted a reception on May 10, 2016 in the Ministry of Foreign Affairs of Pakistan to formally announce the candidacy of Dr. Sania Nishtar for the post of Director General, World Health Organization. The event was well attended by a large number of Ambassadors from all over the world serving in Pakistan. 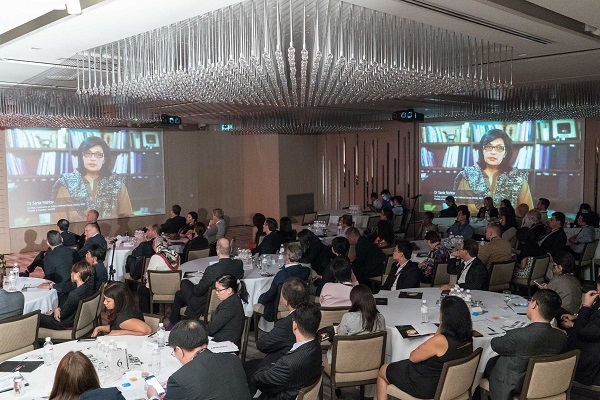 April 27, 2016: Food Industry Asia hosted its 6th Annual General Meeting on 27 Apr 2016, in Singapore. Dr Sania Nishtar was a key note speaker on this occasion. Her talk relayed through video conference can be accessed here.